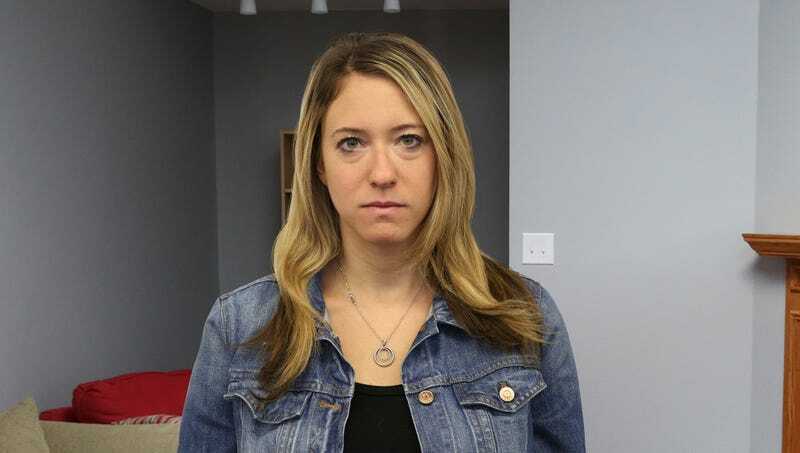 WILMINGTON, DE—Explaining that some time away from relationships was exactly what she needed right now, local woman Jill Witmer, 32, took a break from dating Thursday to focus on everything about herself no one could ever love. “I think stepping away from the dating scene gives me the chance to really concentrate on every single one of my personal, emotional, and physical flaws that make me fundamentally incapable of being loved or appreciated,” said Witmer, explaining that spending time on dating apps and going to bars had only been a distraction from the innumerable details about her personality, hobbies, appearance, food preference, opinions, and education that would always drive potential mates away, no matter how hard she tries, and leave her desperate and pathetically alone for the rest of her life. “Besides, I’ve just been so busy lately endlessly dissecting my grating habits and worthless opinions that there’s no time for a relationship. And, hey, there’s no shame in staying home by myself on a Friday night, popping a bottle of wine, and really fixating on the innate traits that will ensure I die alone.” Witmer added that only after she had fully reflected on her own complete lack of self-worth would she finally be ready to get back out there and truly hate someone else.